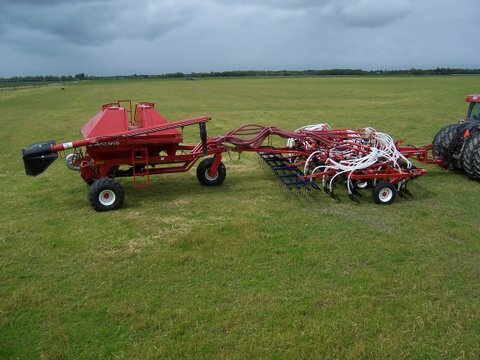 Pluck’s Engineering is the NZ out let for Morris Ind Air Seeding equipment. 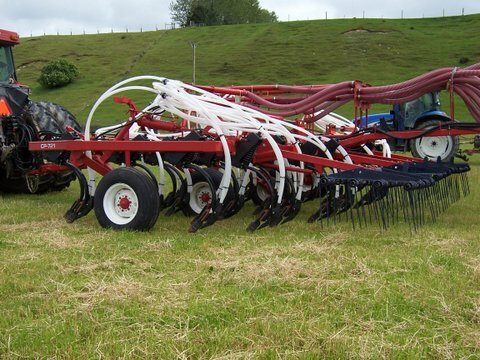 Morris Ind Manufacture a huge range of Air seeders suitable for NZ farming conditions, their working widths start a 6.0M and row spacing available for NZ farmers of 7” (180mm) up to 9” (230mm) as single seed row per leg or double row per leg, also they can be set up to drill fertiliser at the same time as your seed, and in between or beside the seed rows on each leg. 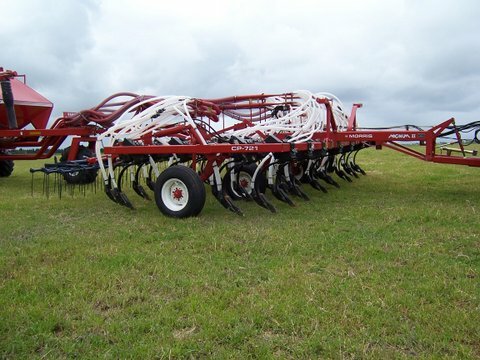 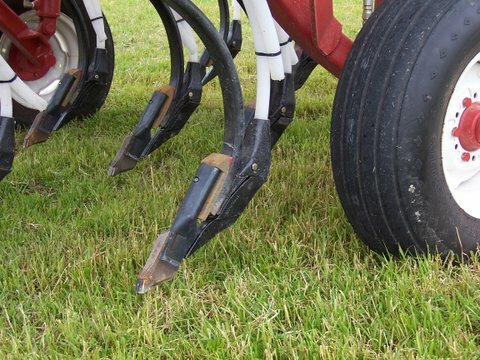 There is a huge range of drill point type available, from narrow single row direct drill type all the way through a very wide sweep type point that drills into cultivated ground and leaves a seed row 4” (100mm) wide per leg. 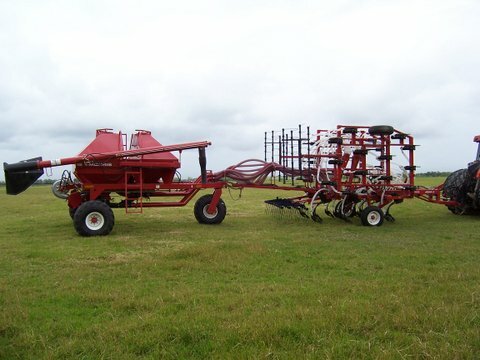 Morris Ind Canada is a 75 year old company that have been at the front of Air Seeding development most of that time. 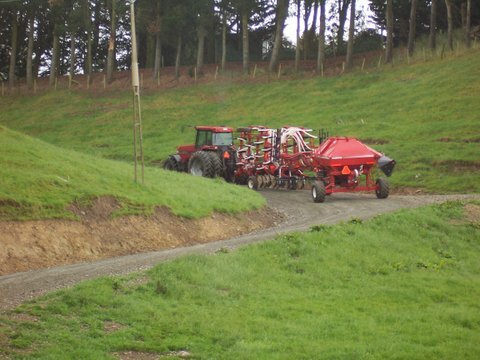 Currently they continue to manufacture a huge range of Air Carts that start in size at 5 cubic meters (5Tonnes approx), all of their air carts can hold both Seed and fret in twin separate tanks so you can drill seed and fert at the same time but drilled into the ground by separate delivery air systems giving you the perfect seed placement and start in life with your fert drilled either beside or in between your seed rows depending on your choice of drill point. 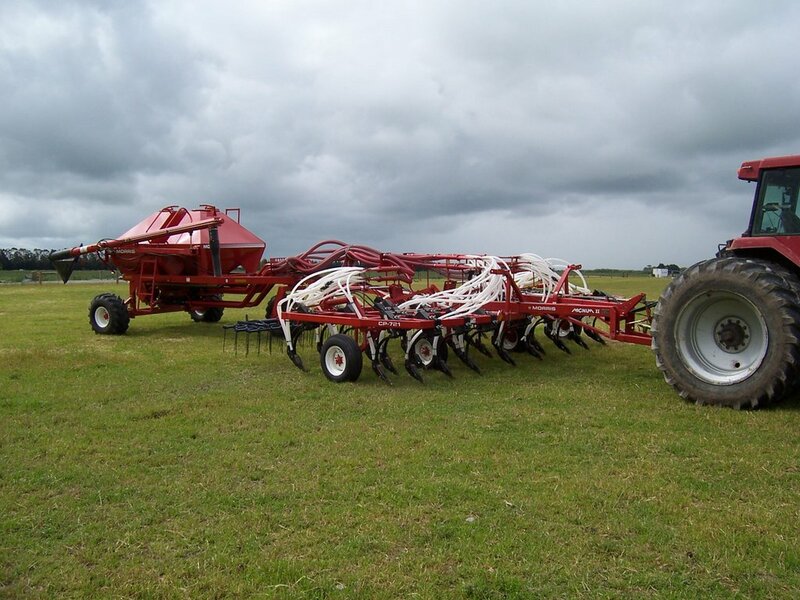 The Air Carts come in 3 wheel trike type setup or 4 wheel narrow rows with a front pivoting beam and castor wheels to ensure all 4 wheels stay on the ground all the time.